One of the main developments with arcade machines over the years has been the graphics. Nowadays, you can enjoy sharp and colourful graphics that are almost realistic. But, this is not the only thing that has changed over the years. 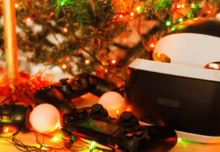 In fact, there has been a big development with arcade controls since arcade machines were first created. 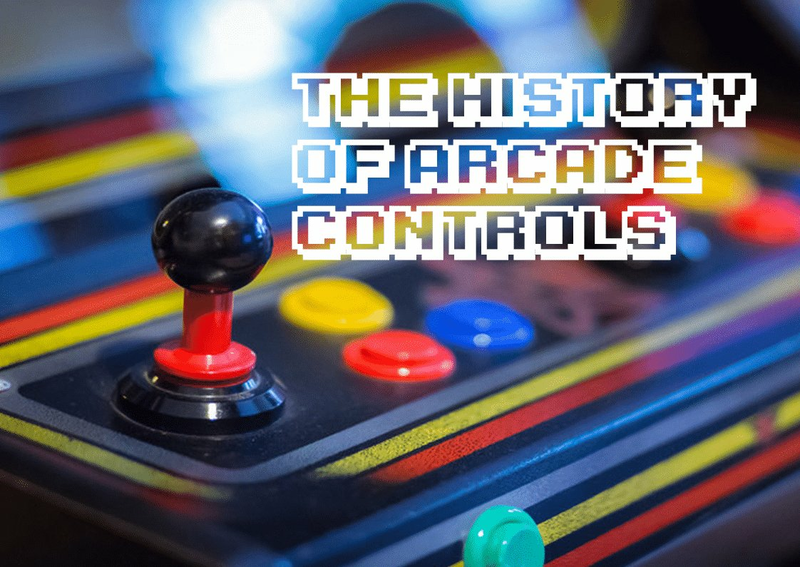 We all know that the controls are one of the most important parts of the arcade machine. After all, this is going to allow you to control your character and progress through levels successfully. 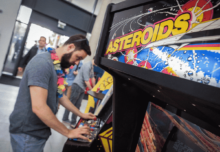 Did you know that it took a lot of time to choose the location and the distance between different buttons to get the perfect arcade machine? 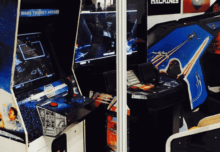 Let’s have a look at some of the different arcade machine controls that are available on retro arcade machines. A lot of retro arcade machines started off with simply having buttons for players to press to control their character. This included Space Invaders, which was an instant hit and still enjoyed in the gaming world today. This game was based on an alien invasion and the player must control the laser cannon to shoot at the aliens. It simply has two buttons for moving the laser cannon left and right, as well as a fire laser button. This meant that you have to press the buttons quickly to move and fire at the same time. there was also a button to start the game and to select one or two players. Despite its simple design, Space Invaders is one of the biggest games of all time. Pac-Man was created by Namco and this is the best-selling arcade machine of all time. Not only is it a fun and colourful machine to play, it also has some fantastic controls that were innovative at the time the game was released in 1980. This included having a joystick that you can move in four directions; up, down, left and right. In fact, this was the first Namco game that featured this four-way joystick. Players would use the joystick to move Pac-Man around the maze and to avoid all of the coloured ghosts, as well as to collect points. There was also a button to start the game. It was a simple control to use, which meant the game was popular with all age groups. It is still a hit to this day. In order to make shooting games more realistic and fun for the player, arcade machines started to introduce games with plastic guns. This allowed the player to hold the gun and aim it at the screen to hit their target. This required more skill than buttons and it will definitely test your reactions. For example, Time Crisis II Twin Arcade Machine was a two player game that featured a gun as the controller. It also featured foot pedal controls to complement the action and to reload the gun. The aim of the game is to kill the enemy, working together with a second player. The gun controller definitely helps to get the adrenaline pumping! Fruit machines are a unique style of game that feature a fun lever that players have to pull. This usually spins the reels to play the game and see if you can win. This is exactly why some fruit machines are called a one-armed bandit. For example, the Star Wars Jedi Master One Arm Bandit is fun to play and simple to get the hang of. All you have to do is pull down the lever and see if you can get the right pattern on the reels to win. Of course, players enjoy this one-armed bandit more because of its classic Star Wars theme, which includes a Jedi design, as well as different Star Wars characters on the reels that you have to match. To make racing games more authentic and to make the game more fun for players, racing games started to use a steering wheel. This meant that the player would sit back on the racing seat and be able to put their hands on the wheel to control their car. In addition, there was often an accelerator and brake pedal to complement driving and make it even more realistic for the player. Some driving arcade machines even feature a gearbox; it is like you are driving a real car! For example, one of the most popular driving arcade machines was Sega Rally 1 Arcade Machine. This lets you get behind the wheel and choose your ride and take on other players around the track. Of course, it is a two player game, which means you can race a friend or family member. With a variety of tracks to choose from and different difficulty levels, you will never get bored! Can I Get a Games Machine for My Home?